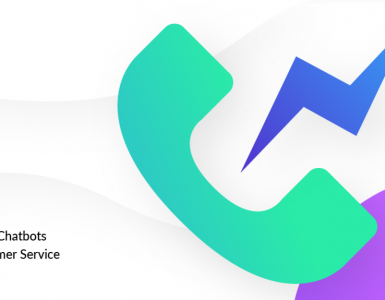 Blur Media was founded by Austin Witte in 2018 and offers chatbot marketing services delivered by ManyChat. He helps companies get more leads, conversions, and sales across a range of platforms including Amazon and Shopify. After seeing chatbot success with his first company Fit N Simple, it was only natural for him to repeat the process for other businesses. 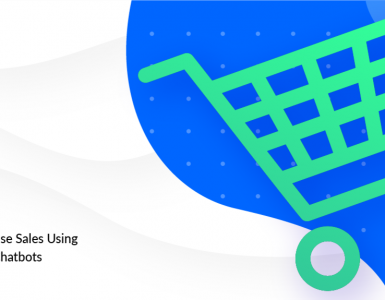 ManyChat not only enabled Blur Media to grow subscriber lists, but it also gave them the ability to use chatbots in new and innovative ways — like getting more Amazon reviews. 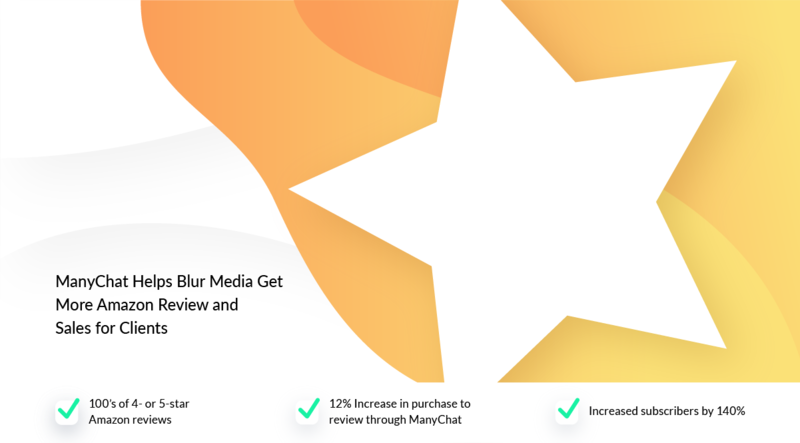 Since adopting ManyChat, Blur Media has experienced exponential growth for its Amazon clients, generated 100’s of 4- or 5-star reviews, increasing purchase to review by 12%, and growing their client’s subscriber list by 140% within the first three months of 2019. Amazon selling at its core relies on positive customer reviews. Shoppers are drawn into positive experiences, and it gives them more confidence to buy a product. Problem is, getting reviews on Amazon is hard. And many companies rely on outdated email sequences that skirt around Amazons strict rules for getting more reviews. For Blur Media’s health supplements client, the lack of social proof was cutting into sales. The company was using a ManyChat bot, but it wasn’t producing the results they needed. And the search for a better way to get reviews was on. That’s when they found Austin Witte of Blur Media in the ManyChat Community on Facebook, and they knew his chatbot strategy was the way to go. Using a Zapier integration, Austin was able to start conversations with customers who’ve recently purchased his client’s product. A few days later, customers were sent a follow-up message with three feedback options — happy face, neutral face, sad face. Plus the option to unsubscribe. If someone tapped the happy face, they’d be encouraged to leave feedback on Amazon. If responses were negative, it was handled and resolved by the bot. All before customers would think to leave a bad review. 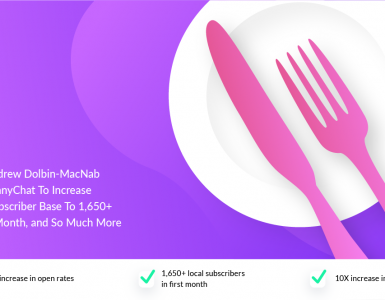 Since using ManyChat, his client has generated 100’s of 4 and 5-star reviews — with a 12% increase from purchase to Amazon reviews. Out of the company’s growing list of 10,800 subscribers, over 11.2% have made another purchase — adding an extra $30,000 in sales for the health supplements seller. The company now gets more engagement with customers through its Messenger marketing campaigns — versus none — and ranks higher in Amazon keywords in its health supplements category. 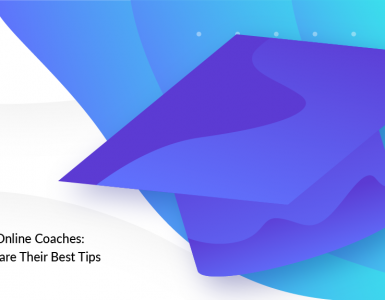 Want to drive sales and get more reviews? 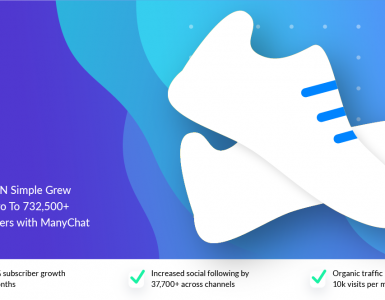 Create your free ManyChat account and build your bot today.